The subject of today for #FriFotos is ‘new’. That reminds me of a phenomenon I came across on my city walks for several times: The guide-book told me ‘this’ is the ‘new’ town hall of the place but actually the building looked pretty old-fashioned. For example have a look at the Neue Rathaus von Hannover (New town hall of Hanover) depicted above which was opened in 1913. Of course this is not really a miracle. Each of those new halls were really modern at a certain date. It is just the way of the world they look old-fashioned now. 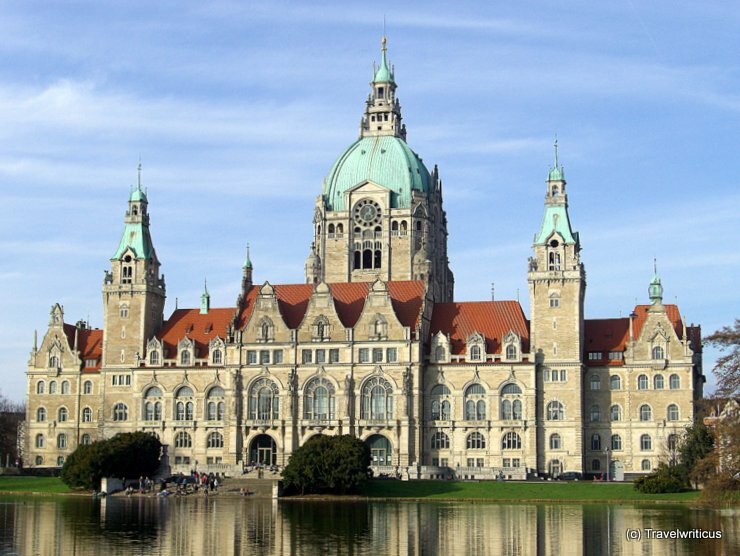 Some other cities with classic looking ‘new’ town halls I have heard about: Munich (1909), Leipzig (1905), Wiesbaden (1883). So, which ‘new’ town halls in old-fashioned style do you know? I look forward to your photos. This entry was posted in City Halls by Travelwriticus. Bookmark the permalink.